Today is Black Friday in the USA. It is a day that I just cannot comprehend, people opt to spend the day pushing through crowds to buy things they don’t necessarily need because it is on sale. I could go on a rant about Black Friday, but I will spare ye reader. Many conscious consumers are choosing to start an anti Black Friday and not buy anything for the day. I am all for this, however today is Saturday, which means local farmers markets. So I chose to spend my day wandering the streets of Parnell and buying from small local businesses. I had to go to Parnell to pick up some stainless steel cups I had bought off Trade Me, so I decided to make a morning of it. 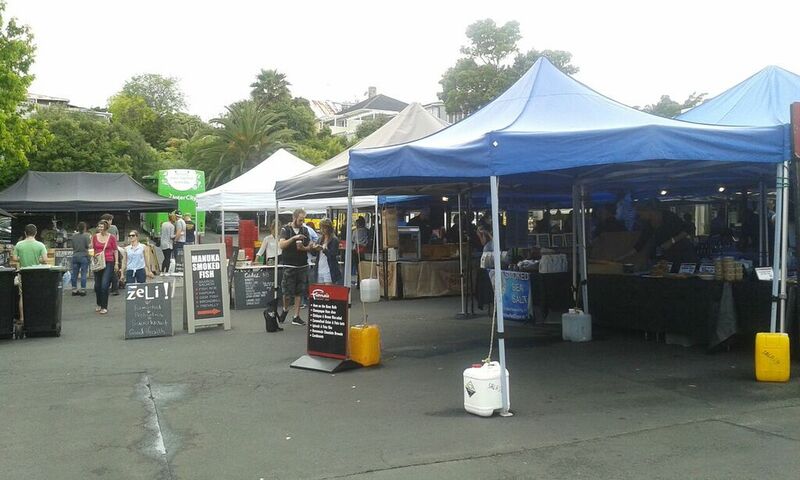 The BF & I caught the bus in to Newmarket and then walked to the Parnell Farmers Market. It was on and off rainy for most of the morning, but cleared up long enough for us to enjoy a stroll through Parnell and the markets. 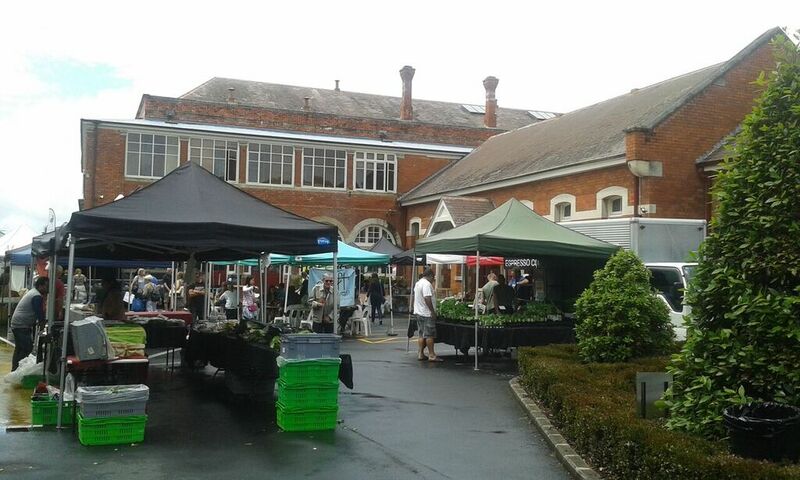 Parnell Farmers Market is a 5 minute walk from the hub of Newmarket, at the Jubilee building. It’s a quaint market full of fresh produce and food. 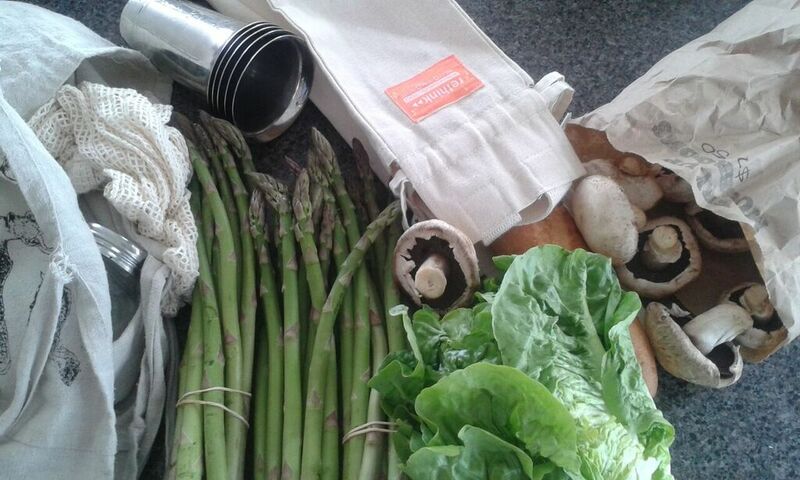 We picked up a large paper bag full of mushrooms, and some other plastic free veges. I also found package free cheese there! C & I have hardly been eating cheese since going plastic free, I’ve been making lots of nuts ‘cheeses’ which have been satisfying our cravings. We then strolled down Saint George’s Bay Road, I had a nosy at all the old villas and wild gardens, including one house that had plants ‘potted’ in the old small recycling bins, the little bins from when recycling was first being introduced. I thought that was very fitting, as the boxes featured the recycling arrows. I may just do this with my old recycling bin. Next stop was the La Cigale French Market, where we found more package free delights from small local businesses. There was a decent recycling bin set up for coffee cups, a few places had compostable packaging, and another place had jars to use instead of plastic cups. Also more plastic free cheese! 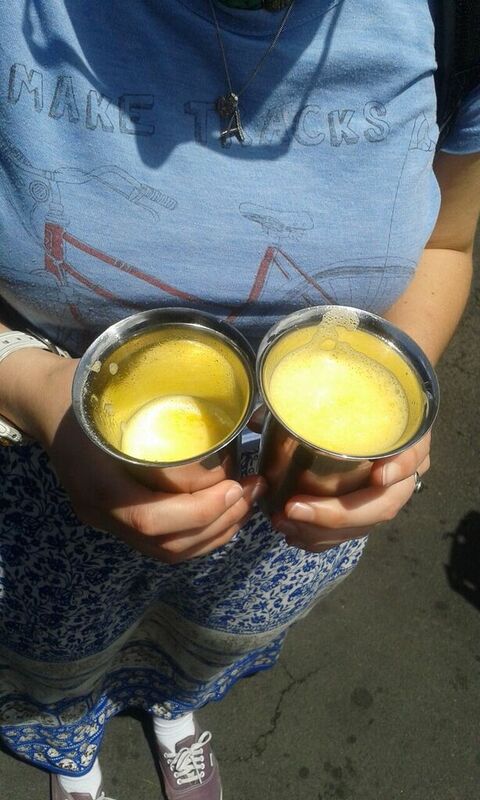 With my new second-hand stainless steel cups in hand, I purchased a large juice from Juju Juice and kindly asked they pour it in to our cups, with no straw of course. It perfectly filled both of our cups, and the server happily remarked at what a perfect size the cups were. It was good we had our own cups too, as I have come down with a cold, so the BF would not have wanted to share with me anyway! We were planning on going to The People’s Climate March after the markets, however I was feeling pretty tired and unwell, so we wandered down to Britomart to get the train home. Once we got home it poured with rain for the rest of the afternoon- now my plants are nice and happy. 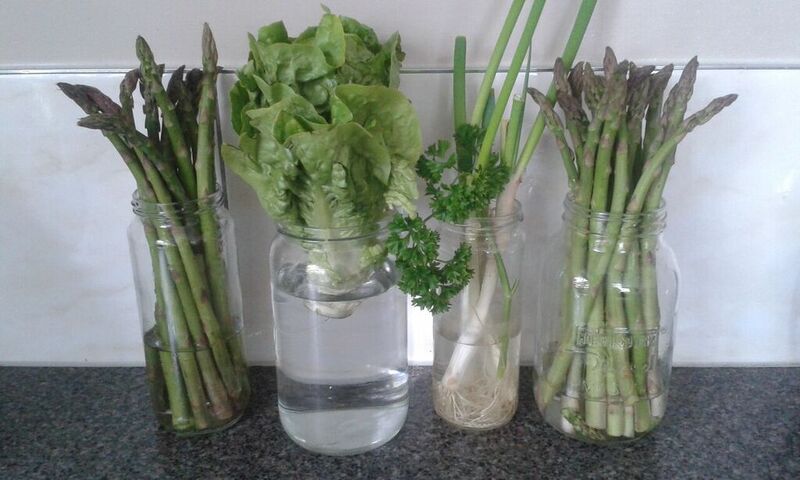 My vegetables didn’t handle being carried around in the humidity too well, so they are now recovering in jars of water. That sounds like an excellent Saturday morning! It's far too long since I last checked out the markets in Parnell, so it's great to know there are so many options for plastic-free veges and cheese these days.